Reel Moments (sometimes Glamour Reel Moments or Glamour's Reel Moments) is an annual film series project by the magazine Glamour. The program entails a competition where its readers submit short stories with three being selected to be made into short films. The short stories submitted are all non-fiction personal essays. Actors, directors and crew all donate their time for the project. Sponsors fund scripting, production and screening costs. Each film is directed by a woman, often a celebrity. As of 2011[update], 20 films have been produced through the program, including giving directorial debuts to Bryce Dallas Howard, Jennifer Aniston, Demi Moore, Courteney Cox, Kate Hudson, Kirsten Dunst, Jessica Biel, Eva Mendes, and Rachel Weisz. The films are also matched up with female talent throughout the production process, including actresses. Objectives of the project include empowering women by producing female-friendly short films while creating opportunities for actresses to direct and extending the Glamour brand. The films benefit FilmAid International. It is hoped that the directing experience will open doors for female directors. The series began in 2005 with bebe stores, Elizabeth Arden and Mercury as sponsors. That year, the winners from among the 4000 750-word essays were selected for production by an advisory board of female executives and actresses that included Katie Holmes, Lucy Liu, and Julianna Margulies. 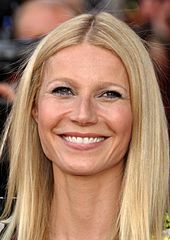 Among the directors that year was Gwyneth Paltrow who made her directorial debut. She co-directed Dealbreaker with Mary Wigmore, and the film was introduced in the previews of Ryan Reynolds' Just Friends. She also, co-wrote the film. One of the shorts was accepted into the 2006 Sundance Film Festival and earned a Grammy Award for Best Instrumental Arrangement Accompanying Vocalist(s) at the February 8, 2006 48th Grammy Awards for "What Are You Doing the Rest of Your Life? ", which was a soundtrack song performed by Sting and Chris Botti. All of the films that year were selected to the Santa Barbara Film Festival. A DVD of the winning films was included in the December 2005 edition of Glamour. Talia Lugacy was also a director in 2005, and her short, Little Black Dress, was received so well that she parlayed the experience into a directing role for the 2007 movie Descent. Other directors in the first year were Lisa Leone, Jenny Bicks, and Trudie Styler, while actresses included Rosario Dawson and Debi Mazar. left to right: Jennifer Aniston, Bryce Dallas Howard, and Carol Leifer directed in 2006. Cartier SA paid Glamour 1.8 million dollars to be the sponsor in 2006. The 2006 entries had a love theme about moments in the lives of the entrants that made them "victorious, stronger or wiser." The 2006 selections, which were available on Glamour's website, debuted at the Directors Guild of America in Los Angeles and were shown in 10 cities. Jennifer Aniston's film, Room 10, starred Robin Wright Penn and Kris Kristofferson. Another film that year was by Bryce Dallas Howard, the daughter of director Ron Howard, who directed Orchids, a love story that she co-wrote starring Katherine Waterston and Alfred Molina. Carol Leifer was the final director of Blinders starring Jamie-Lynn Sigler. The publicity for the 2006 films continued well into 2007. They appeared in the August 2007 Palm Springs International Festival of Short Films. After having been written, directed and acted almost entirely by women, the films were also produced by a woman from Moxie Pictures in Los Angeles. Aniston who was a first-time director, co-directed with Andrea Buchanan. left to right: Kate Hudson, Kirsten Dunst, and Rita Wilson directed in 2007. The 2007 contest was introduced in the January 2007 edition of Glamour. That year, the directors were Kate Hudson, Kirsten Dunst, and Rita Wilson and the acting talent included Kurt Russell, Dakota Fanning, Virginia Madsen, Chevy Chase, Kristen Stewart, Winona Ryder, Jeanne Tripplehorn, Aisha Tyler, Camilla Belle, and Channing Tatum. Hudson directed Russell, Fanning, Madsen, Chase and Stewart; Dunst cast Ryder in her film, and Wilson's film starred Tripplehorn. Wilson sings the closing track in her film. In 2007, Glamour and Clinique partnered to support Big Brothers Big Sisters of America with a $1 donation for each of the first 10,000 viewers of the freely accessible productions online. The 2007 contest's theme for the short story entries was happiness. The films debuted October 9 at the Director's Guild Theater and were available at glamour.com and clinique.com starting October 15. They were also presented on October 13 in the hometowns of each writer. In 2007, the project expanded to include a summit of alumni and filmmaking grant. Courteney Cox (left) and Demi Moore (right) directed in 2008. In 2008, the directors were Courteney Cox, Demi Moore, and Kirsten Smith. The films were debuted at the Directors Guild headquarters on October 14, 2008. Moore directed Madeline Zima, Brittany Snow, and Sarah Wright as well as her daughter Rumer Willis in a 12-minute film titled Streak. Cox directed Laura Dern in the 19-minute film entitled The Monday Before Thanksgiving. Smith directed Anna Faris in The Spleenectomy. left to right: Eva Mendes, Jessica Biel, and Rachel Weisz directed in 2010. The 2010 directors were Eva Mendes, Jessica Biel, and Rachel Weisz, and all made directorial debuts. The films debuted at the Directors Guild Theater on October 25, 2010 with Weisz in absentia. Sponsor Hyundai Motor Company selected the theme of "doing good" for the contest in 2010. Mendes' film, which was entitled "California Romanza", included a cast of Christina Ricci, Daniel Stern, Kathy Najimy, and Troy Garity. The project continued to benefit FilmAid International. Biel's short, which included performances by youth actresses Tyler Wilkins and Emily Skinner, was entitled "Sodalis". Weisz debuted with a film entitled "Stop Thief", starring Rosemarie DeWitt and Joel Edgerton. left to right: Zoe Saldana, Eva Longoria, and Olivia Wilde directed in 2011. In 2011, the project was sponsored by Clarisonic and Freestyle. The directors were Olivia Wilde, Eva Longoria, and Zoe Saldana. Saldana cast Bradley Cooper and Malin Åkerman in her short, which was entitled "Kaylien". Other volunteer actors include Justin Long, Aziz Azari, and Jaclyn Jonet. The shorts, that fall under the year's theme of empowering women to feel beautiful, will open on October 24 at the Director's Guild Theater and be available on glamourreelmoments.com the following day. In 2006, Reel Music was spun out of the program as an effort to get women involved in directing music videos. After Pink directed a video in 2006 (that debuted in January 2007), Ciara directed one in 2007. As noted above 2005 participant Lugacy directed the 2007 film Descent starring Rosario Dawson. In 2011, Reel Moments alums Aniston (2006) and Moore (2008) joined Alicia Keys, Penelope Spheeris, and Patty Jenkins in directing the 2011 Lifetime film Five. ^ a b c Elliott, Stuart (April 27, 2005). "Magazines Find Ways to Include Unconventional Elements in Deals With Marketers". The New York Times. Retrieved August 30, 2011. ^ a b c d e f g h Bosman, Julie (July 31, 2006). "Glamour's Hollywood Side: Films by and About Women". The New York Times. Retrieved August 31, 2011. ^ a b c Naughton, Julie (August 12, 2011). "Actresses Team With Glamour to Direct". WWDirectory. Fairchild Fashion Group. Retrieved September 2, 2011. ^ a b "Zoe Saldana, Olivia Wilde, Eva Longoria to Direct Short Films For Glamour Reel Moments". Artist Direct. August 18, 2011. Retrieved September 2, 2011. ^ Canon U.S.A. Inc. (June 9, 2011). "Bryce Dallas Howard Tapped as Director of Canon's "Project Imagin8ion," a Ron Howard Production". San Francisco Chronicle. Retrieved August 30, 2011. ^ a b c Lee, Felicia R. (August 10, 2005). "Gwyneth Paltrow Takes Her Turn Behind the Camera". The New York Times. Retrieved August 30, 2011. ^ a b c Singer, Michelle (February 11, 2009). "And She Directs, Too". CBS. Retrieved August 31, 2011. ^ a b c "Hudson calls the shots". Los Angeles Times. September 25, 2007. Retrieved September 1, 2011. ^ World Entertainment News Network (October 19, 2005). "Paltrow to Make Directorial Debut". Hollywood.com. Archived from the original on January 26, 2013. Retrieved August 30, 2011. ^ a b c Ives, Nat (January 9, 2007). "'Glamour' Rolls Out Reel Music: Pink Directs Music Video of Winning Band, Pretty Boys". Advertising Age. Retrieved August 30, 2011. ^ Thompson, Anne (July 16, 2007). "Women in Film: Glamour Lines Up Rookie Directors Hudson, Dunst and Wilson". Variety. Archived from the original on October 17, 2008. Retrieved October 26, 2011. ^ a b Thompson, Anne (July 15, 2007). "Stars take Glamour shots: Magazine's directors ready for closeups". Variety. Retrieved October 26, 2011. ^ "Glamour "Reel Moments" Short Film Series World Premiere". Life. December 8, 2005. Retrieved October 26, 2011. ^ a b Snead, Elizabeth (August 14, 2007). "Jen, Ben, Pink, now Ciara? Is EVERYBODY a director?". Los Angeles Times. Archived from the original on September 29, 2011. Retrieved August 31, 2011. ^ a b c d e "Glamour Reel Moments 'Happy' to Help A-List Women in Hollywood Get Behind the Camera". PRNewswire. October 1, 2007. Retrieved September 1, 2011. ^ a b "Kate Hudson hops in the director's chair". USA Today. September 24, 2007. Retrieved September 1, 2011. ^ "Wilson, Dunst and Hudson: Big names, short subjects". USA Today. October 9, 2007. Retrieved September 1, 2011. ^ "2007 Newsletter Archive". Big Brothers Big Sisters of America. 2007. Retrieved September 1, 2011. ^ "Glamour Reel Moments Event (14 of 17)". San Francisco Chronicle. October 15, 2008. Retrieved September 1, 2011. ^ "Glamour Reel Moments - Arrivals". Life. October 14, 2008. Retrieved September 1, 2011. ^ "Glamour Reel Moments Event (6 of 17)". San Francisco Chronicle. October 15, 2008. Retrieved September 1, 2011. ^ a b c Cohen, Sandy (October 15, 2008). "Courteney Cox, Demi Moore make directorial debuts". USA Today. Retrieved September 1, 2011. ^ Freydkin, Donna (August 14, 2008). "Cox takes a short step to directing". USA Today. Retrieved September 1, 2011. ^ Thompson, Anne (October 13, 2008). "House Bunny Scribe Smith Turns Glam Director". Variety. Archived from the original on October 5, 2010. Retrieved September 1, 2011. ^ Donnelly, Matt (October 26, 2010). "Jessica Biel, Eva Mendes show Glamour some 'Reel Moments'". Los Angeles Times. Retrieved September 2, 2011. ^ a b c d Kit, Zorianna (September 9, 2010). "Look out Hollywood! Three actresses are delving into movie directing for the first time, thanks to Glamour Magazine". Reuters. Retrieved September 2, 2011. ^ a b "Glamour Reel Moments". Los Angeles Times. October 26, 2010. Retrieved September 2, 2011. ^ a b Bazilian, Emma (August 12, 2011). "Actresses Turn Directors for 'Glamour' Olivia Wilde, Zoe Saldana, Eva Longoria sign on". Adweek. Retrieved September 2, 2011. ^ Aitken, Peter C. (August 18, 2011). "Zoe Saldana, Olivia Wilde, Eva Longoria to make directorial debut with Glamour Reel Moments". New York Daily News. Retrieved September 2, 2011. ^ Gonzalez, Sandra (August 30, 2011). "'Five': Jennifer Aniston, Demi Moore direct star-filled cancer drama. Expect tears. Lots of tears. -- VIDEO". Entertainment Weekly. Retrieved October 26, 2011. This page is based on the Wikipedia article Reel Moments; it is used under the Creative Commons Attribution-ShareAlike 3.0 Unported License (CC-BY-SA). You may redistribute it, verbatim or modified, providing that you comply with the terms of the CC-BY-SA.